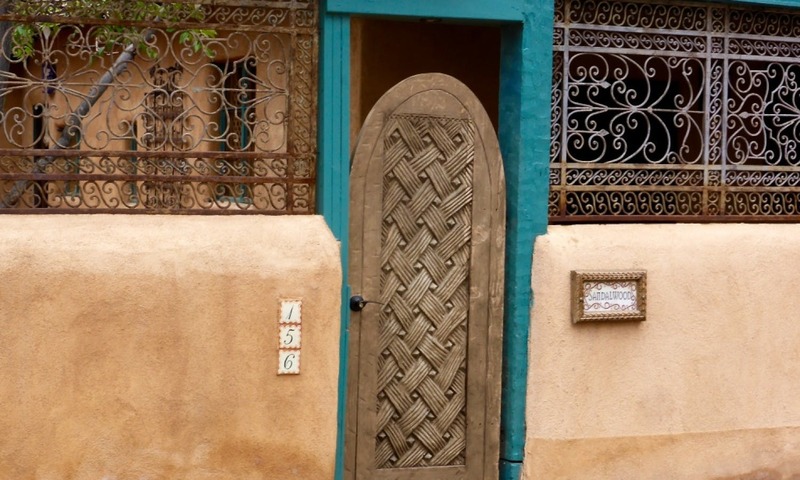 From Arizona into New Mexico, the style seems to change from Native American to Colonial Spanish. Now we’re in the territory of the chilli-burger and adobe buildings, including the oldest house and oldest church in America. 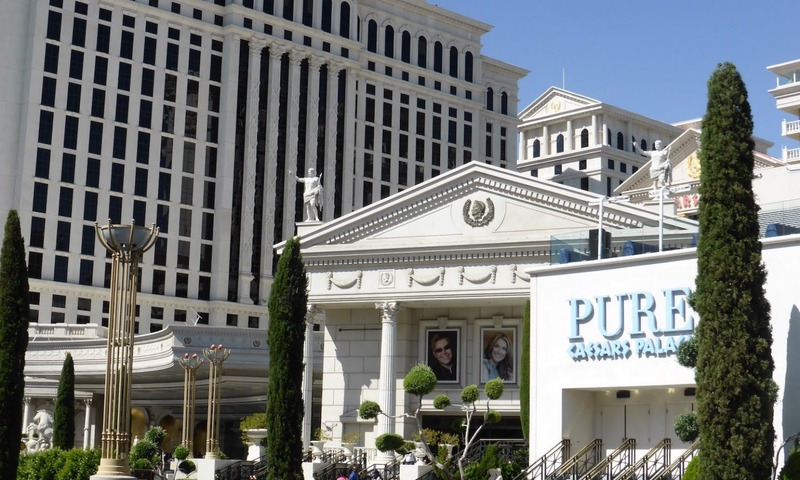 Get ready for some great food, goo shopping and interesting sights . . .
It’s quite a long drive from Arizona, so it’s worth stopping somewhere on the way towards Albuquerque. The interstate (I40) has plenty of motels, even if some of them feel like places where you’d need to sleep with a knife under your pillow and a chair propped against the door. Your goal is the attractive Turquoise Trail: a road (highway 14) just beyond Albuquerque that takes you north from Cedar Crest through a beautiful desert landscape into Santa Fe. The highlight of the trail must be the tiny town of Madrid: an artists’ colony and favorite stopping-point for drivers and riders. It seems almost every building along the road is a café or a shop selling locally made craft items such as pottery, jewelry, clothing, furniture and sculpture. Spend an hour or two here watching the bikers, cowboys and locals as you sip a coffee or browse the shops. The town feels like a meeting place for travelers. Madrid also features heavily in the John Travolta comedy biker movie Wild Hogs (2007). The center of old Santa Fe feels like a little piece of Europe. The Romanesque Cathedral of St Francis of Assisi was influenced by the French Archbishop Lamy, while the colonial-style Palace of the Governors (1610) is the longest occupied building in America. Adobe buildings and colonnades create a sense simultaneously of the Old West and of the Spanish colonizers. 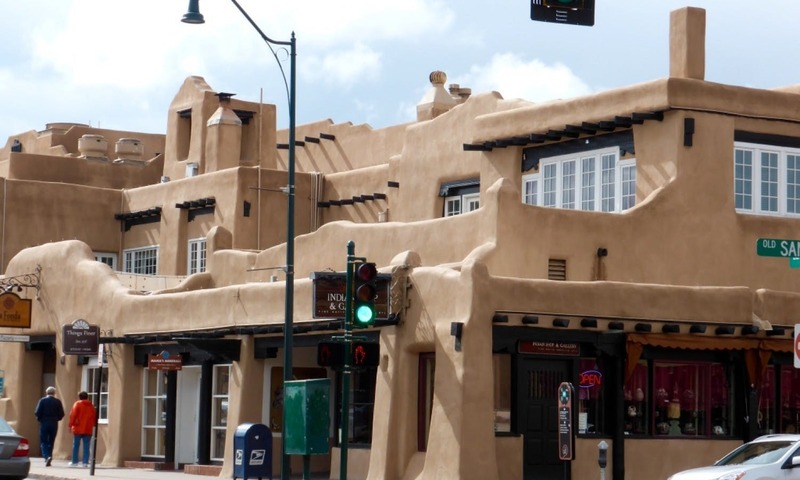 You’ll also find America’s oldest house and oldest church, the San Miguel Mission, here in Santa Fe – though neither of them looks especially ancient. 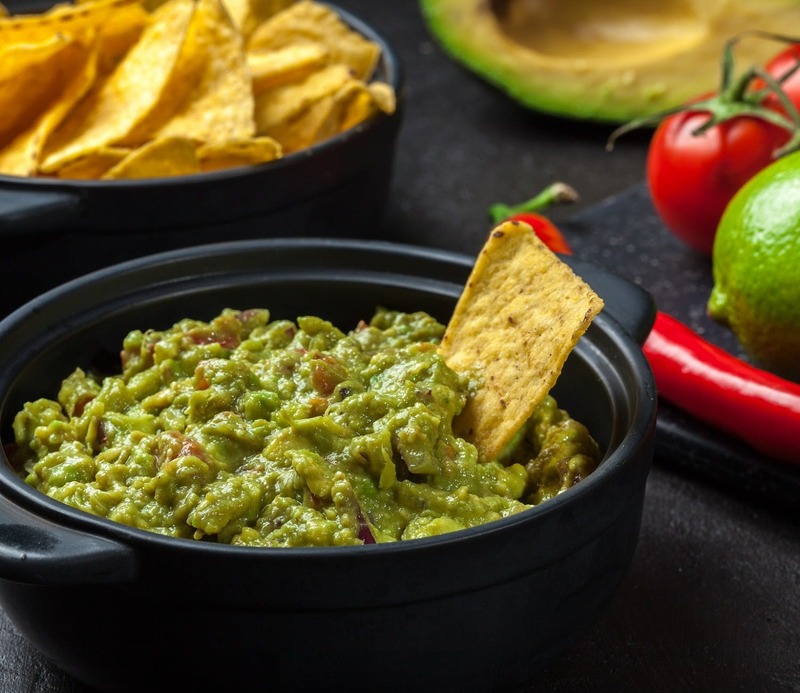 Guacamole, one of Mexico’s many delicious delights. The old town is a great place to stroll around, have a coffee and eat some Mexican-inspired food. One of the most famous places to eat is La Plazuela – a beautiful restaurant with a 1920’s atrium in the adobe-style La Fonda Hotel, right in the central plaza. You may need to book ahead if you want to eat here, but there’s also a drop-in buffet offering the same quality. 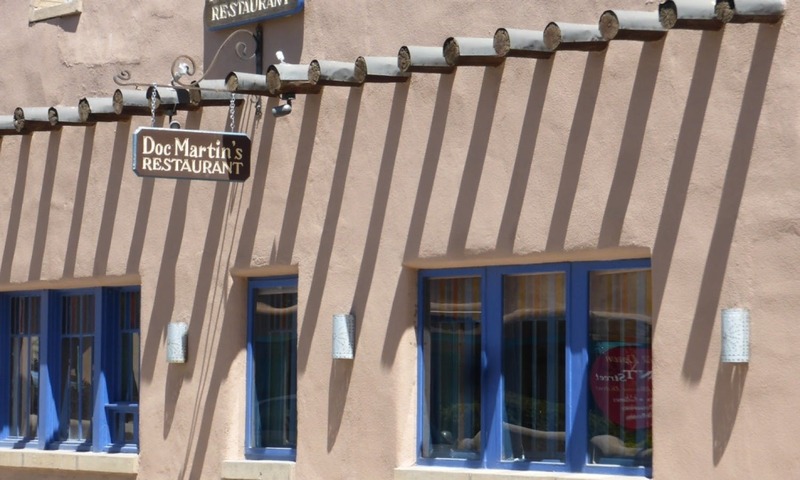 Treat yourself at least once to a green-chili burger and a margarita. Then there’s the shopping. 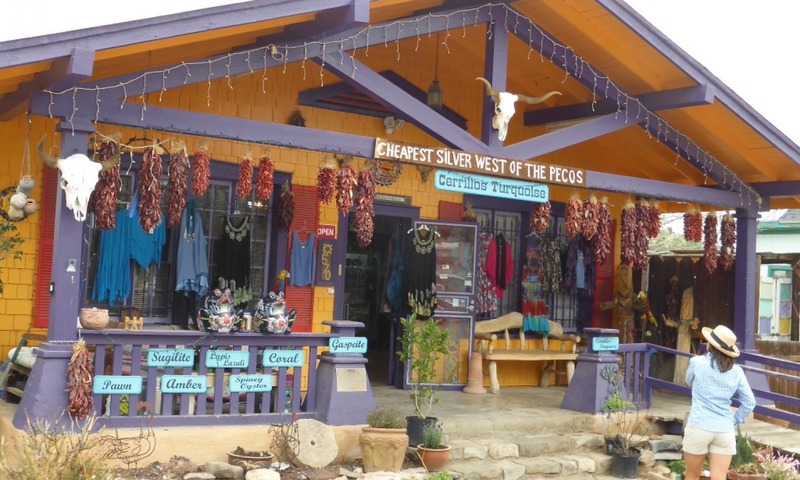 Santa Fe is packed with shops selling Native American-influenced craft such as carpets, blankets, jewelry and coats. It’s also a good place to pick up anything you might need for the road, as there are a number of outdoors retailers selling good quality clothes and camping gear. Beware, however – it would be very easy in Santa Fe to buy an outfit resembling Jim Carrey’s ‘cowboy style’ in Dumb and Dumber, so go easy on the native prints and tassels. No, this is a different one. Las Vegas (New Mexico) is a sleepy little town east of Santa Fe that was once a thriving Wild West location thanks to the railway. In its heyday, it had such visitors as Doc Holliday, Jesse James, Billy the Kid and Wyatt Earp. Today, there are considerably fewer gun battles in the streets and the town is a pleasant place to spend a day wandering around. Laid out on the Spanish Colonial model (with a pleasant town square) Las Vegas is known for its varied and interesting architecture. More than 900 buildings are listed as notable historic pieces, including the Plaza Hotel and the Masonic Temple. North of Las Vegas in Santa Fe’s little brother Taos. It’s the same kind of Colonial-inspired adobe architecture, and perhaps even more souvenir shops selling Mexico-flavoured design. This is the place to pick up a colorful vase, a cowboy poncho, a hunting knife, a leather belt or a Native American blanket. There’s also a really good bookshop (Moby Dickens) to stock up on books for the campsite, and some great places to eat or drink. Try Michael’s Kitchen, a local favorite since 1974 where you can eat an excellent chili burger and then assault your stomach further with a pastry as big as your head (Michael’s is also a fantastic bakery). There are many possibilities after Taos. You can head west across the agricultural heartlands, north towards Chicago or south to follow the gulf coast towards Florida. We’ll be taking the third option . . . but first, it’d be rude not to make a quick loop through the green mountain majesty of Colorado.